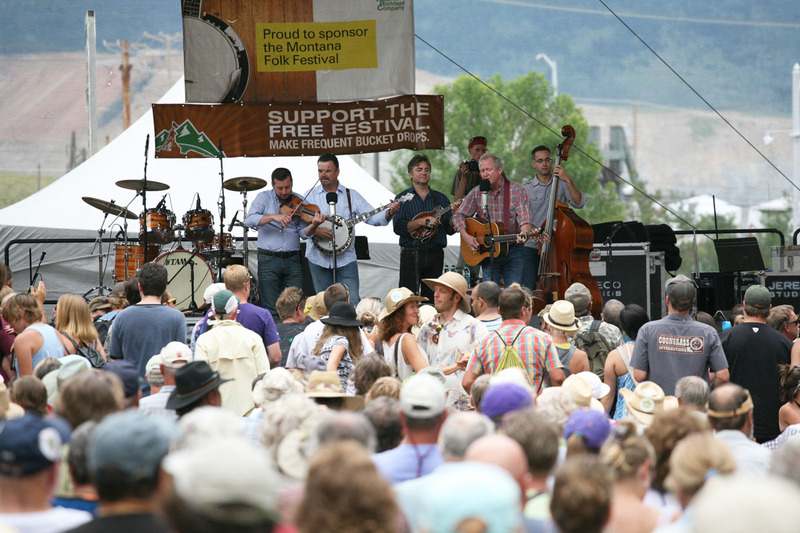 Now in its fifth year as the Montana Folk Fest, the event is fast becoming the signature festival of Montana—a showcase of global music, dance, art, and ethnic cuisine. Various stages across uptown Butte host a continuous eclectic cycle of musicians, while food vendors bring an array of culinary flavors as diverse as the music. Stages are laid out across the city, stages. Each stage rotates through a worldly array of performances. Last year’s festival played out across six stages, including a participatory dance pavilion, a family stage with performances oriented toward children, and a stage dedicated to music of Montana. The Original Stage, situated atop the city on the site of an old mine yard, is built into a defunct mining headframe, a reminder of Butte’s backstory as an underground copper mining center. “We are really hitting our stride,” Everett said, who expects record turnouts for the 2015 festival. 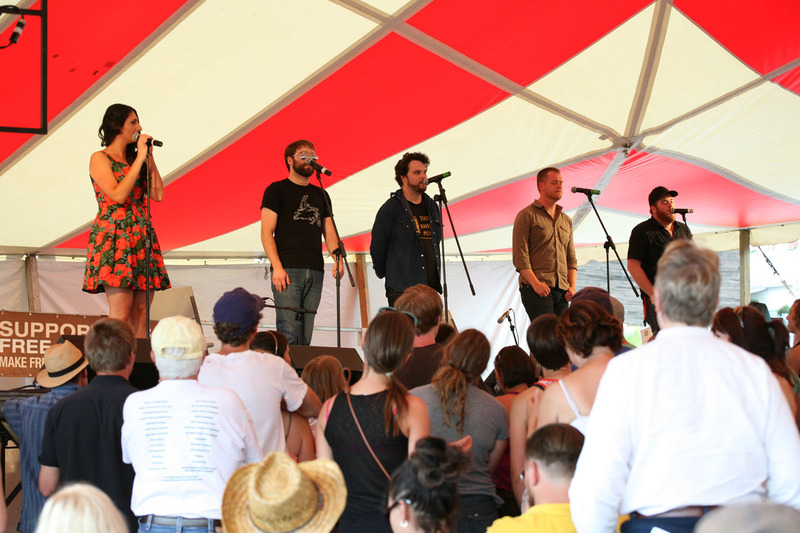 Who: Musicians from around the globe travel to the Montana Folk Festival. If last year is any indication, there’ll be killer blues, French folk, Canadian bluegrass, Peruvian dancers, Southern acoustic rock, Cajun influences and sounds of the bayou, full on Funk, Asian and Native American groups, as well as some pretty esoteric stuff. In addition to performances, musical showcases bring together different musicians to play together in a forum while discussing their take on a specific music style. Tickets: The event is free to all, though event organizers fundraise throughout the year. Event sponsors, longstanding donor commitments, as well as steady small donations, help fund annual operations. About 800 volunteers are sought each year to help set up and tear down the stages, and volunteers collect donations during the festival. “Admission is free, but we appreciate donations onsite,” said Everett. Where to stay: There are only 1,300 hotel rooms in Butte, and they book up well in advance of the festival. The city opens its parks for free camping on a first-come, first-served basis. Bathrooms are onsite, but no showers or other services are available. Campers can also seek out accommodations in the national forests around Butte, and a handful of RV and campgrounds are located in and around Butte. Many attendees stay in surrounding areas, including Bozeman, Helena, and Missoula, and commute in for the day. Insider Tip: Book accommodations in the city early to ensure the full festival experience. 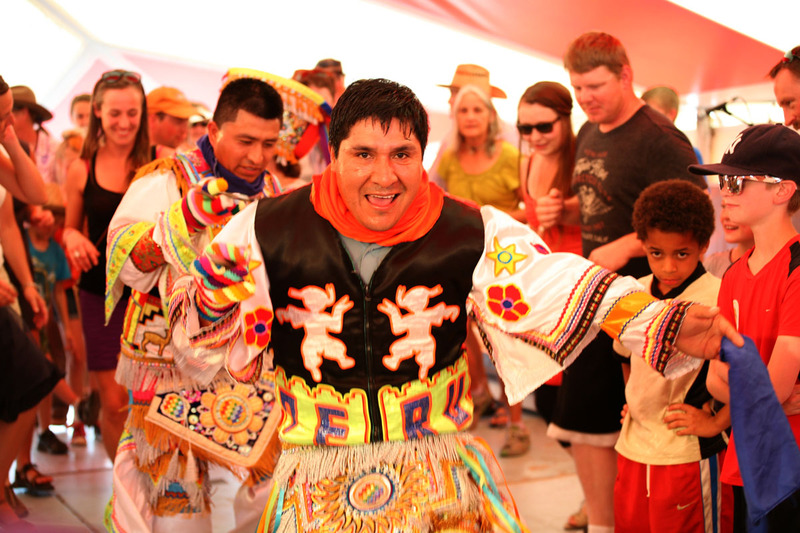 The old mining town is rich with nationally recognized historic sites, from Chinatown to the well-preserved downtown buildings to the mining pit itself, and is a distinct backdrop for the multicultural Folk Festival. For thrifty campers, McGruff Park is located in the heart of the festival, and all you need is a tent to experience the action. 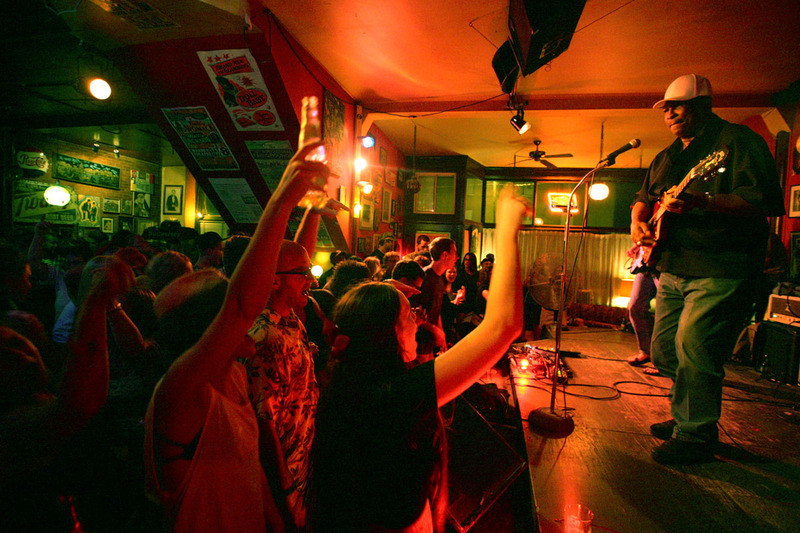 Once the music winds down on the main stages, catch musicians after-hours at the legendary Silver Dollar bar or at jam sessions in the city campgrounds.